Don't forget to read other Christmas Town stories! Now available on Kindle Unlimited! Get your copy here! This clean & wholesome holiday romance kicks off 12 connected full-length novellas set in Christmas Town, Maine, and written by 12 Harlequin Heartwarming authors. 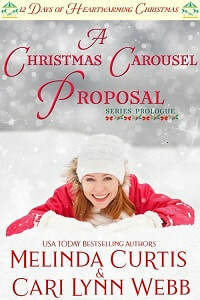 Part of the Heartwarming Christmas Town series, this free novella is just one of 65 romances in the series!